Orinda is due for some revitalization. Not many can argue with that. Well, I take that back. There are those 5 to 10 people who show up to City Council Meetings regularly to argue that NOTHING should ever change, and for the handful of downtown property owners there is no motivation to do so. But for many of us, change to our downtown is a welcome, if not elusive dream. They say “I am part of the silent majority here,” too busy working, cooking dinner, coaching, driving, paying the bills, and volunteering to stay informed or get involved with local planning issues. I have lived here now for an astonishing 14 years. My husband grew up here, so he is going on 34 years. This Place is where my roots are, and it feels good and safe to understand a place so thoroughly, the smells, the climate, the people. I estimate 30% of folks I meet have also grown up here; it’s like a little Italian village where generations come back. Orinda kids at 18 can’t wait to get out, but many will spend the rest of their life trying to get back in. All of this is to say that I feel grateful to live here but I also believe that we can do better. As an architect and an artist, I have found that being associated with an affluent community, like we have here in Orinda, is some heavy baggage and something to overcome when attempting to be taken seriously about the pressing topics of our built environment. Alongside white privilege comes a real challenge to be relevant in a creative field. In fact, some artists I know working in Lamorinda keep a box office in Oakland to fight this perception of being out of touch. I’ll take my mail here please, but I’m not giving up on living and working in a place that better reflects my values. Admittedly, my body of work is made up largely of homes, in a place where over 65% of the homes cost over $1 million. Opportunities for high impact social design are not exactly knocking on my door… …or are they? Orinda is a city of 18,000 people which sits on a billion-dollar transit line. The median income is $190,000, and over 80% of us have college degrees. Over 46% of us earn more than $200,000 a year. This is an extraordinary place and exactly the type of community that has the resources and skills and opportunity to create positive change; not only here but for our entire region, the East Bay and the Bay Area. Claiming our role and responsibilities within that larger region comes with the benefits of a short drive to global business centers, great restaurants, and major arts and cultural venues. I hear a lot about holding onto our small town semi-rural feel and in fact there is a lot here worth holding onto. But if we assume for a minute that rather than ruining everything, revitalization in Orinda might make life better, then what would that look like? There are three parts to that answer which are undeniably intertwined. 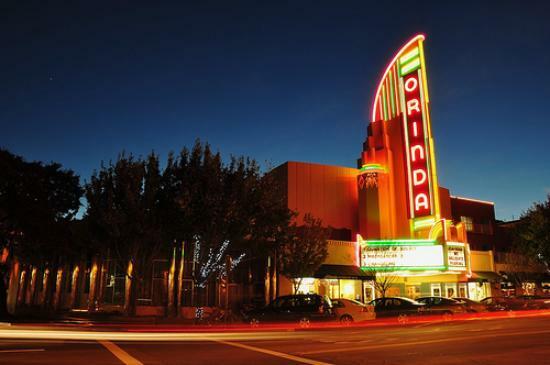 Remember that Orinda was once voted by Forbes Magazine as one of the Country’s friendliest towns. True, there are many genuinely friendly people in Orinda, an adjective I associate with kindness, active concern for others and community involvement. The criteria Forbes used however, wasn’t any of that, it was home ownership percentage; Orinda boasts an extremely high 92% home ownership rate—compared to 54% in the Bay Area. This apparently makes people friendlier and more civically engaged. But Orinda has other labels not so well-publicized. Did you know that according to the Bay Area Eviction Affordable Housing Project, Orinda has been categorized as a city of “advanced and on-going exclusion”? When I read that, the hairs on my arm go up and I struggle to marry that with the friendliest town award. It didn’t take much digging to discover the label comes from Orinda’s history of circumventing laws that require cities to address the shortage of Bay Area Housing. The housing crisis here is said to be the worst in the nation. Here are a few facts to put it in perspective. Statewide, in the last five years, California has added less than 175 new homes for every 1,000 new people. Zooming in further, no other region in California has experienced such explosive growth of high-paying jobs than the Bay Area. We have added nearly seven jobs for every housing unit built since 2010. Jobs paying over $150,000 a year equate to large majority of that growth (over 60%), thus the middle- and lower-income workers are most affected by the housing shortage. If you make less than $35,000 a year, you pay over 50% of your monthly income on housing costs. So, the middle and lower classes are moving, and since we still need waiters, and bank tellers, and construction workers, the disconnect between work and where people live continue to grow. This has a direct effect on our environment with more congestion, more pollution, more development of open spaces, and documented adverse effects on our health. What does all that have to do with Orinda? If we want revitalization in our downtown, we are going to have to get our arms around more housing, more dense housing and housing in different price ranges. Single-story buildings and sloths of open area parking pavement is simply not an appropriate use of resources given our location within this vibrant growing region. The 2017 Senate Bill 35 finds that “ensuring access to affordable housing is a matter of statewide concern and declare that its provisions would apply to all cities and counties.” Orinda was required to respond to the bill and so ratified a housing plan (element) that promised to “study the feasibility of mixed-use development [in the downtown] at appropriate densities.” Boxes were checked, and lawsuits avoided. A large part of the solution offered was the streamlining of Accessory Dwelling Units. This works if we are building ADU’s in our backyard for somebody to call home like your parents or your kid’s teacher. It doesn’t work if we are building pool houses and “she sheds.” That can be part of the answer, and believe me, I love to design ADU’s (so call me), but it’s not enough. This week, Governor Brown signed Assembly Bill 2923 that gives BART greater control of its own land, in order to build housing on the 250 acres systemwide that it owns. Unlike in Lafayette and much of Oakland, Orinda’s BART property is owned by Caltrans, but the writing is on the wall. It’s time for Orinda to collaborate before they do it for us. In appropriate locations, the zoning heights, density and parking requirements need re-negotiating on a case by case basis to ensure incentives for developers. Housing creates tax income, which creates jobs, opening the doors for further private and public investment in our community. Did you know that over 70% of Orinda’s sales tax income is generated by Safeway? Add that to the list of enigmas in a place where the median household disposable income is over $100,000 per year. So many of us scratch our heads and wonder why can’t we add get a few more restaurant choices, or another food market? 60% of our food and beverage purchases leave Orinda. We have storefronts and beautiful buildings vacant, at a time when the vacancy rate of shopping centers across the East Bay is at the lowest level since 2008 (4.9%). This is not an easy problem to fix, smart people have been studying it for years with report after report after report. It is due to no lack of effort by a few enlightened City Council Members and a gallant effort is being made by a newly-energized Planning staff. What many people may not know is that the City of Orinda is functioning at a remarkable level given that it employs only 39 people and its annual budget is less than $13.5 million. Think about it; 39 people make up the Parks and Rec Department, the Planning Department, the leadership in the Police Department and Public Works Department and all the various administrative positions. It’s a lean machine. Imagine it’s your business. What would you do if you noticed that one of your highest-priority goals was being overlooked. You’d look at your staffing plan and find out who wasn’t doing their job. Here’s the thing; there is nobody at the City of Orinda focused on and being paid to promote and manage economic development. It does NO good to continually commission these sophisticated studies if we never have the manpower to follow up on any of the recommendations. Does this person’s salary require a public funding measure? Maybe, or maybe it’s a re-evaluation of current resources but we need a full-time professional advocating for our downtown revitalization. This economic development director should be hired and managed by our City Manager who is hired by our elected officials and he or she should be linked closely to a community stakeholder group and the Chamber of Commerce. Orinda needs a deal maker. The proactive recruiting of a “custom fit” anchor retail establishment. The rollout of new business development training and tools, and other creative enticements to work local. Grant writing, and/or grant distribution through competitions. Facilitating public incubator projects where out of the box ideas can be tested. Promote the City and negotiate incentives for developers, retailers, health and service providers, entrepreneurs, food and beverage providers and artists. Provide resources and educate property owners as to the value added when they paint their building or improve storefronts. Lastly and by far the most interesting component of Orinda’s revitalization has to come from Placemaking by us, the Community. The foundation of placemaking rests on the relationships people have to Place; in fact, our sense of identity here in Orinda is one of our strongest assets as we envision change to our public sphere. Placemaking is the collective energy that bubbles up into food truck events, film festivals, public art, arts advocacy groups, school funding projects and events, political activism, open mic’s, concerts at the park, youth sports, farmers markets and might even include the children’s freeze tag occurring throughout Theatre Square on most Friday nights. The fact that our retro theatre is thriving with first rate entertainment as well as free family programming is placemaking by a handful of passionate people that care for and fight for that landmark. Placemaking is often associated with Arts Vibrancy. Vibrancy is defined as “pulsating with vigor and energy.” We can all acknowledge that this will look different here in Orinda than say, Oakland, but I argue that there are plenty of authentic sources of vigor and energy in our community. We should expect our downtown to reflect that. The most common fear I hear about is traffic and parking. Forgive me for being so optimistic but like we have since the beginning of time, the human race (Orinda notwithstanding) is capable of changing habits and finding solutions as conditions around us change. We have the advantage of being late to the game, so we can learn a good deal from our neighbours in Lafayette, Rockridge and Walnut Creek. There may be growing pains but then we solve those, and the character and ingenuity of our community begins to reveal itself. I humbly admit, I do not know how the achieve all of this…. I do know that the tipping point is here. Many may disagree with my argument put forth and some may be inspired but if you are engaged then I have succeeded. First, research the records of the city council candidates on these issues and vote. No excuses. Second, Orinda is in the midst of a streetscape master planning study, which has been branded “Connect Orinda”. A newly energetic planning staff applied for and was awarded $250,000 in grant money from the CCTA to facilitate this study which will culminate with a long-term plan and a handful of immediately fundable projects to our public right of ways. The Orinda Planning Staff and the Berkeley based planning firm Eisen Letunic will be asking your opinions and encouraging community participation. The study will not address any economic development issues or any zoning or land use policies but if we can identify some low-lying fruit, fundable non-controversial projects, then maybe we will find some new energy and commitment to think bigger. Attend the Connect Orinda event Saturday, Oct. 13, at the Library Plaza. The views expressed here are my own and don’t represent any organization that I may be affiliated with. The facts that I have gathered from the sources below are accurate and true to the best of my knowledge but there may be omissions, errors or mistakes. This entry was posted in Community, Placemaking on October, 2018 by Admin. The Crosses of Lafayette Re-counted : Why Now? 10 Best Ways to Aggravate a Modernist! Placemaking and/<span style="text-decoration: line-through;">or</span> Architecture? Sunset Style: Magazine or Paradigm of West Coast Culture?